Danish Air Transport ATR 72-210 HD textures for the OSP ATR 72-210 base model. Danish Air Transport ATR 72-200 HD textures for the OSP ATR 72-200 base model. Danish Air Transport ATR 72-500 HD textures for the OSP ATR 72-500 base model. 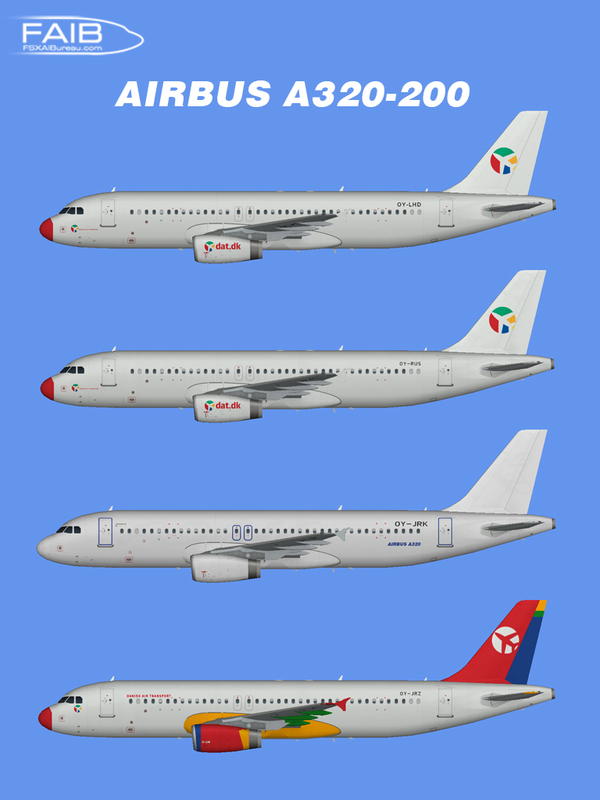 Danish Air Transport Airbus A320-200 for the FAIB A320-200 FSX base models. Danish Air Transport Airbus A320-200 for the FAIB A320-200 FS9 base models. Danish Air Transport McDonnell Douglas MD-83 for the AIA McDonnell Douglas MD-80 base model. Danish Air Transport McDonnell Douglas MD-82 for the AIA McDonnell Douglas MD-80 base model. 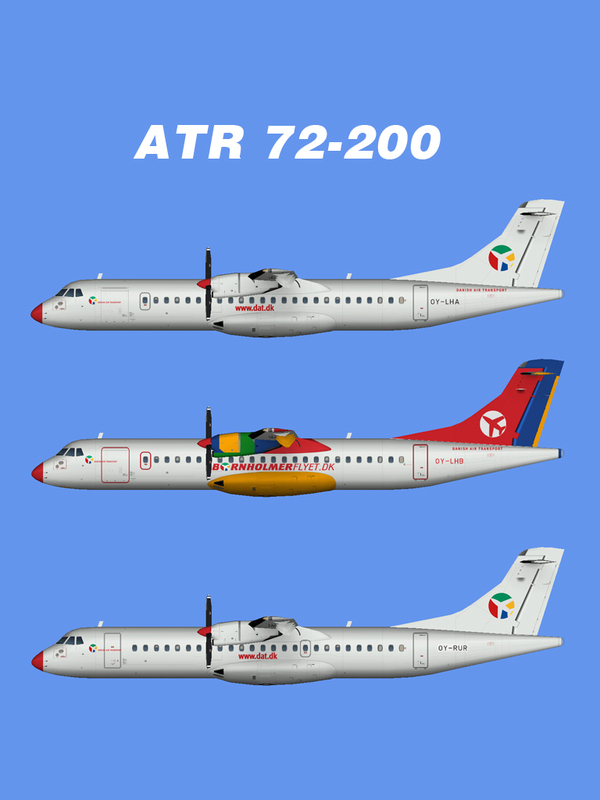 Danish Air Transport ATR 72-200 Fleet FSX for the OSP ATR 72-200 base model. Danish Air Transport ATR 72-200 Fleet FS9 for the OSP ATR 72-200 base model.